Today, Aviation Safety legislation passed by the European Union became law. This will come into force in the event of a No Deal Brexit, and forms part of the contingency measures announced by the European Union to provide for passenger safety and business continuity after Brexit. EASA Type Certificates, DOAs, ETOs & ETSOs will be recognised by EASA for 9 months after Brexit. This will provide time for UK companies to apply to the CAA for design organisation approvals, as the CAA resumes its ICAO legal obligations as state of design. We understand this process will allow for minor changes and modifications. In addition, last week the UK Aviation Safety Statutory Instrument was finally approved by both the Commons and Lords and published as law. This transfers all existing EU aviation safety regulations and legislation into UK law from the day that we leave the EU. This ensures companies are still operating under the same legal framework as they currently do. As well as the Safety SI, the Civil Aviation (Amendment) Statutory Instrument makes a number of other minor changes to aviation regulation. This is under a negative procedure, so does not require Parliament to vote on it before becoming law, and it has therefore come into force. As part of its resumption of ICAO legal responsibilities, the CAA has also opened a procedure for UK companies to apply for design organisation approvals (Part 21 Subpart J approvals) before we leave the EU. Companies which require these approvals and have not applied are advised to do so. The CAA has been agreeing Bilateral Aviation Safety Agreements with the US, Canada and Brazil, to replace those agreements which the EU has negotiated with those countries. These have been agreed and are being made public by the CAA for industry to study and understand once they have been finalised. Application to EASA for third country aerospace approvals remains open. This is a desk procedure completed at a special one-off cost, rather than the full cost and approval process which is normally undertaken by EASA for third country approvals. 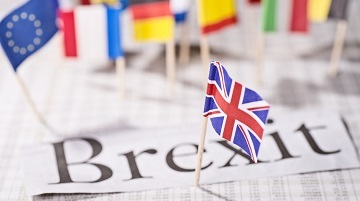 This special UK case is expected to cease once the UK leaves the EU, so members who have not placed applications as a precautionary measure are recommended to apply now. These will only be required in the event of a No Deal Brexit. Finally, as Article 50 has been extended, the Commission has extended the periods when their No Deal planning will become active to 12 April and 22 May, the two potential dates for the UK to leave the EU. As a result of this extension, certificates under the third country application process will be sent to companies on 13 April rather than 30 March.